On the 31st July, 2013 at 10.05pm Rebecca Coales broke the current female DNF record at the Total Fitness centre in Walkden, North Manchester http://www.totalfitness.co.uk/ For those new to Freediving, DNF is swimming as far as you can horizontally in a swimming pool without the aid of fins. The record had previously been held continuously, by Liv Philip, since 2007. Rebecca with a very comfortable dive beat the 116m that was on the board, and pushed the distance to 120m which is well within her Personal best (PB) , the whole dive took 2'24 minutes. 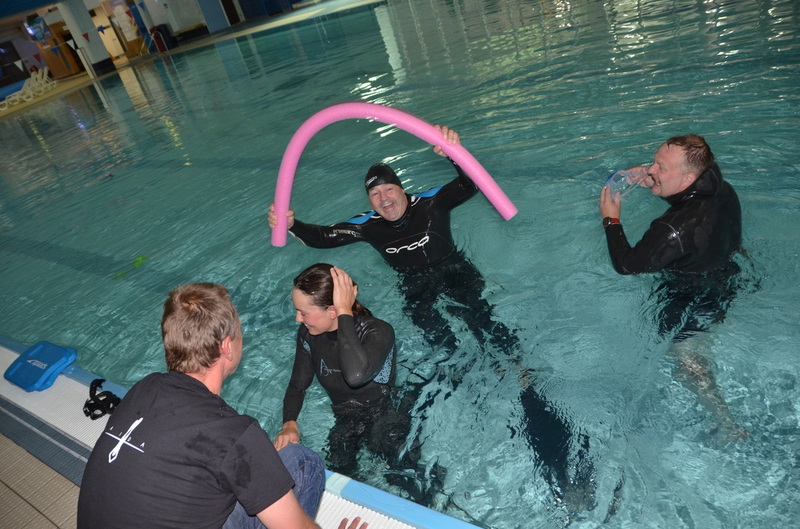 Rebecca is a founder member of the Bristol Freedivers group where she trains with friends. She was a relative newcomer to the competition circuit, only starting to explore her potential in the last 6 months starting with a no-fins clinic, and mono fin clinic with Steve Millard of the Apneists UK group www.learn2freedive.com , based in the North of the UK. Recently she earned the right to represent her country in the World Freediving Pool Championships and with this new record it has placed her firmly on the map. Rebecca runs the http://www.omdiver.co.uk/ Yoga website and courses which is the perfect cross training for Freedivers. Thank you to the management and staff of Total Fitness Walkden for their continued support and hosting of this event. Please visit http://www.totalfitness.co.uk/ for information on how to join the gym.